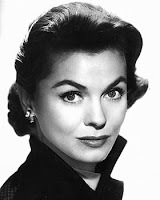 This time around on our Martin and Lewis Old Time Radio Podcast, from an NBC Radio Network broadcast of May 12th, 1953 Dean and Jerry welcome actress Joanne Dru to the show. Click here for the MP3 or subscribe for free at iTunes or Zune Marketplace. Enjoy 10% savings at PETCO.com with our PETCO Coupon Codes. DEAN10 saves you 10% on any order and if your order is $65 or more, you'll get free shipping to boot with code DEAN. To save on your pet's medications, use our Pet Meds discounts for savings of 10%. You'll also get free shipping if your order is over $39. Follow this link for savings. This program is licensed by ASCAP and BMI. 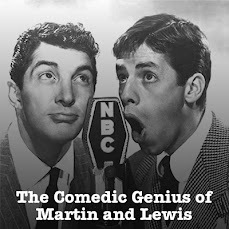 The old time radio program presented is a work in the Public Domain. Our theme music Del Sasser and Come Rain Or Come Shine are from Danny D'Imperio.